The store will utilise AI, machine learning and visual cognition technology which it says can be easily deployed by retailers. 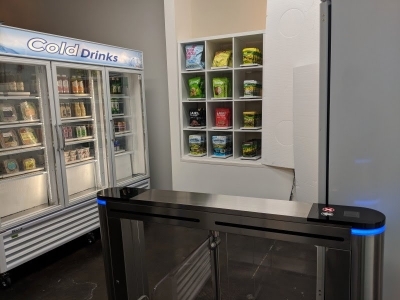 Consumers shop at the automated store by downloading the Zippin app and connecting their preferred payment method. The app contains their store “key” or QR code which can be scanned to gain entry to a shop. Cameras and smart shelf sensors track when and which products are picked up or put back and customers receive a receipt detailing their charges when they are ready to purchase and leave. “Consumer frustration with checkout lines is driving a tidal wave of demand among retailers and real estate owners keen to provide a frictionless retail experience," said Zippin CEO, Krishna Motukuri. "With annual sales of grocery stores, convenience stores and quick-serve restaurants totaling nearly $1.6 trillion in the US alone, we believe there is a sizeable market opportunity for us to pursue." Open for limited hours for a week in September, the store will be private invitation only.